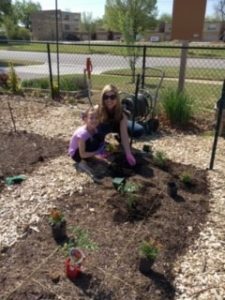 Broken Arrow Neighbors opened our “Growing Generosity” Education Garden in April 2016. The Community Garden was a vision of Kim Goddard, our Executive Director. It has become a beautiful, as well as productive project. If you desire to volunteer, please contact our lead garden volunteer, Jill at the following email address: jill.gerardi@gmail.com. This year the garden will be focused on educational programs and planting exclusively for the food pantry by students and registered garden volunteers. Those wishing to volunteer can contact Jill via email. 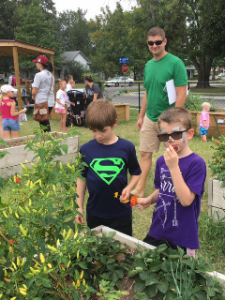 Heather Steele, a registered dietitian with Reasor’s grocery stores, teaches classes for children in our Community Garden. The classes are free, but space is limited to the first 20 children who register. Registration information can be found at www.reasors.com/event. 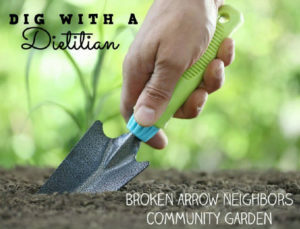 We will post the 2019 Dig With A Dietitian Class Schedule later in the year.